HAMILTON, PETER STEVENS (he published a book of poetry under the name Pierce Stevens Hamilton), lawyer, journalist, author, and office holder; b. 3 Jan. 1826 in Brookfield, near Truro, N.S., eldest son of Robert Hamilton and Sophia Stevens; m. 8 Dec. 1849 Annie Brown in New York City, and they had four sons and two daughters; d. 22 Feb. 1893 in Halifax. A descendant of an Ulster Scots family that had settled in Nova Scotia in the 18th century, Peter Stevens Hamilton received his education in Wolfville, at Horton Academy and Acadia College. Forced to withdraw from Acadia because of ill health and lack of money, he studied law with Ebenezer F. Munro in Truro, where he later articled with Adams George Archibald. In 1852 he was admitted to the bar of Nova Scotia and established a law practice in Halifax. The following year he became secretary-treasurer of the Nova Scotia Electric Telegraph Company and local agent for the New York Associated Press. It was Hamilton’s responsibility to decode and transmit news dispatches from Europe as they were received in Halifax. To outwit competitors he devised a system whereby the dispatches were placed in a sealed canister and thrown overboard as soon as the steamer entered the harbour. Upon retrieval by an assistant they were rushed to Hamilton’s office and were being telegraphed to New York by the time the steamer docked. An avid reader and self-styled “scribbler from boyhood,” Hamilton was happiest when writing, and consequently it was in the field of journalism that he made his mark. As early as 1846 he had been contributing articles to the Halifax Morning Post & Parliamentary Reporter and within a year of being called to the bar had forsaken an unprofitable law practice for the editorship of the Acadian Recorder. He held this position until 1861 and would continue to write for the paper on an irregular basis until 1874. Under Hamilton’s direction the Acadian Recorder adopted a crusading style of journalism, supporting a wide variety of causes ranging from better educational facilities to the need for new industry in Nova Scotia. But the most important issue was Hamilton’s all-consuming campaign for confederation with the other British North American colonies. Although the idea was far from new, he was one of the first Nova Scotians to take an unequivocal stand in support of the concept. 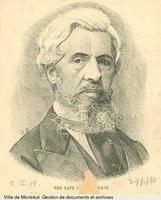 His reasoned editorials in the Recorder, continuous pamphleteering, and extensive correspondence contributed to the marshalling of the pro-confederation forces in the colony. During the spring and summer of 1858 Hamilton spent three months travelling in the northeastern United States and in Upper and Lower Canada. A series of lengthy articles about the journey entitled “Notes of a flying visit among our neighbours” appeared in the Acadian Recorder between July and October. The trip provided him with an opportunity to interview leading political figures, among them John A. Macdonald, John Rose*, Christopher Dunkin*, and Thomas D’Arcy McGee*. Thus Hamilton was enabled to gauge at first hand Canadian support for confederation. He returned to Halifax with a renewed resolve to promote the union and maintained his Canadian contacts through correspondence. It was McGee who urged him to use the visit of the Prince of Wales in 1860 to publicize the concept of confederation. In the resulting pamphlet, directed to the colonial secretary, the Duke of Newcastle, who accompanied the prince, Hamilton repeated the economic and political arguments in favour of union and suggested that the duke should seek, “so far as leisure and convenience will permit,” the opinions of British North Americans on the subject. Inevitably any prominent Nova Scotian with views on confederation would come into contact with Charles Tupper* and Joseph Howe*, the two leading figures in the debate. Hamilton and Tupper had been contemporaries at Horton Academy and although both supported the Conservative party, they were suspicious of each other. Throughout much of his career, Hamilton was in financial difficulty, and his continuing search for a political sinecure must have annoyed Tupper. Hamilton’s brief tenure as registrar of deeds for Halifax County in 1859 ended abruptly with the defeat of the Conservative administration of James William Johnston* early the following year. 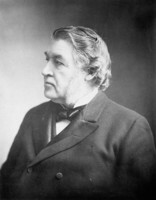 With the return of the Conservatives to power in 1863, he served first as gold commissioner and later in the expanded office of commissioner of mines. He openly lobbied for the post of secretary to the Charlottetown conference in 1864 only to be rebuffed by Tupper, who had become premier that May. Between 1864 and 1867 his relationship with Tupper gradually worsened. The final rift took place in April 1867 when the two men jostled over the nomination for Halifax in the upcoming federal election, an incident that became known as the “Good Friday game.” On 1 May Tupper had the last word when he fired Hamilton as commissioner of mines just two months before the expiration of his term. 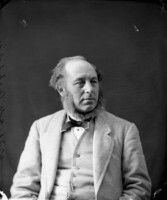 In the early 1860s the two men had been on reasonably amicable terms and Tupper had solicited material from Hamilton for his speeches in favour of confederation. 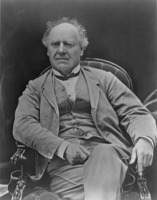 However, by 1866 relations between them had become so strained that when Tupper asked Hamilton if he would publicly rebut Joseph Howe’s anti-confederation views, Hamilton was suspicious. As he would later confide in his memoirs, “I strongly suspected that Tupper meditated some mischief toward me. Had I not known him as a boy at school, I might not have thought of such a thing.” Nevertheless, his pamphlet, British American union: a review of Hon. Joseph Howe’s essay, entitled “Confederation considered in relation to the interests of the empire” (Halifax, 1866), was one of his best journalistic efforts. 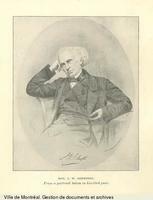 By frequent reference to Howe’s many early speeches in favour of an intercolonial union and by ridiculing his “Jack-o-lanthorn imagination,” Hamilton demolished Howe’s arguments, alleging that his object in writing the pamphlet had been to “deceive the statesmen of England” and “mislead the population of Novascotia.” Ironically both men were to change sides after 1867; Howe joined the Conservatives and Hamilton drifted toward the Liberal party, serving briefly in 1875–76 as inspector of fisheries for Nova Scotia under the federal administration of Alexander Mackenzie. In later life Hamilton resumed his journalistic career, but with mixed success. As a reporter for the Acadian Recorder in Ottawa in the early 1870s, he became a member of the parliamentary press gallery and was named vice-president of the Canadian Press Association. From time to time he dabbled in poetry; a collection of his work, The feast of Saint Anne and other poems, which appeared under the name Pierce Stevens Hamilton, was published in Halifax in 1878; a second edition was issued in Montreal in 1890. An unpublished history of Cumberland County, for which Hamilton received the Akins Historical Prize [see Thomas Beamish Akins] in 1880, dates from this period in his career. He apparently spent some time in the Canadian west and witnessed the arrival of the first Canadian Pacific Railway train at Port Moody, B.C., in 1886. [Hamilton’s publications on the subject of confederation include A union of the colonies of British North America considered nationally (Halifax, ) and Letter to His Grace the Duke of Newcastle, upon a union of the colonies of British North America (Halifax, 1860); both were reissued, along with his Observations upon a union of the colonies, in Union of the colonies of British North America: being three papers upon this subject, originally published between the years 1854 and 1861 (Montreal, 1864). He is also the author of Nova-Scotia considered as a field for emigration (London, 1858) and The repeal agitation; and what is to come of it? (Halifax, 1868). His comments on Toronto, originally published in the Acadian Recorder of 21 Aug. 1858 as an instalment in “Notes of a flying visit,” have been reproduced as “A Nova Scotian in Toronto,” ed. P. B. Waite, in OH, 55 (1963): 155–59. Hamilton’s “History of Cumberland County” (1880) is in the collection of Akins Hist. Prize Essays at the Univ. of King’s College Library (Halifax). It has not been published but a copy made in 1976 is available at the PANS. The chief manuscript source is the P. S. Hamilton papers in PANS (MG 1, 335). Hamilton was an inveterate correspondent with leading figures on the pro-confederation side in all of the colonies. Unfortunately, few of his personal letters have survived; however, most of this correspondence may be traced in sources such as the Macdonald papers at NA (MG 26, A). There are also some interesting letters written in 1860 in the Mackenzie–Lindsey papers at AO (MS 516). Reference should be made to the Acadian Recorder, especially for the years 1853–61. An obituary is printed in the Acadian Recorder, 22 Feb. 1893. The family genealogy is contained in Thomas Miller, Historical and genealogical record of the first settlers of Colchester County . . . (Halifax, 1873; repr. Belleville, Ont., 1972). William B. Hamilton, “HAMILTON, PETER STEVENS,” in Dictionary of Canadian Biography, vol. 12, University of Toronto/Université Laval, 2003–, accessed April 24, 2019, http://www.biographi.ca/en/bio/hamilton_peter_stevens_12E.html.